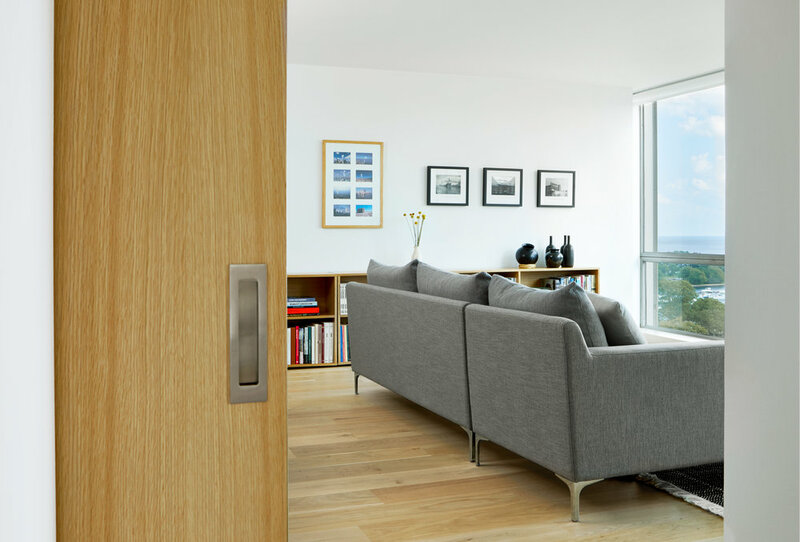 This renovation in a landmark Mies van der Rohe high-rise restores and clarifies the best aspects of the apartment’s original 1957 layout, while also making revisions that better accommodate the contemporary home. The apartment was reconfigured through two removals. A wall that separated a galley kitchen was demolished to create an open plan for the living spaces, and an underused hall was removed in order to improve the visual and acoustical privacy for the bedrooms. Wall and doorway locations were also shifted to maintain the balance and symmetry of the original layout. 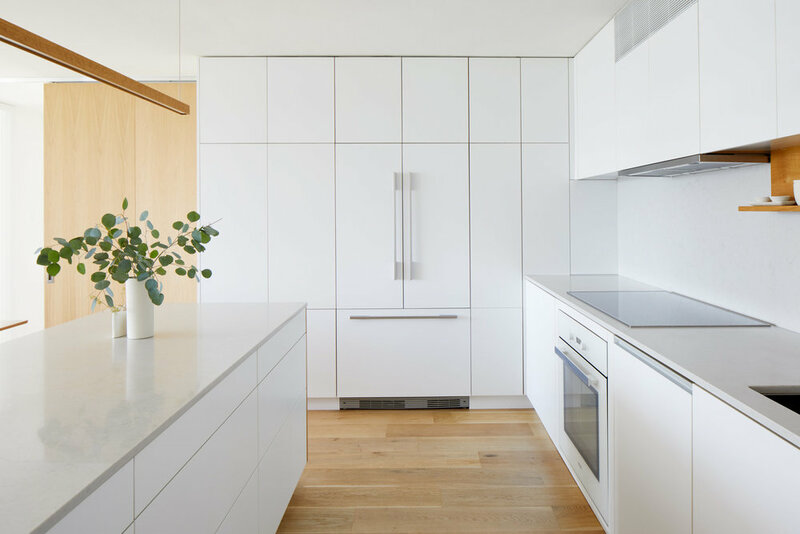 A simple palette of white, aluminum and oak was used to integrate architecture and furniture, and to provide subtle material overlaps. 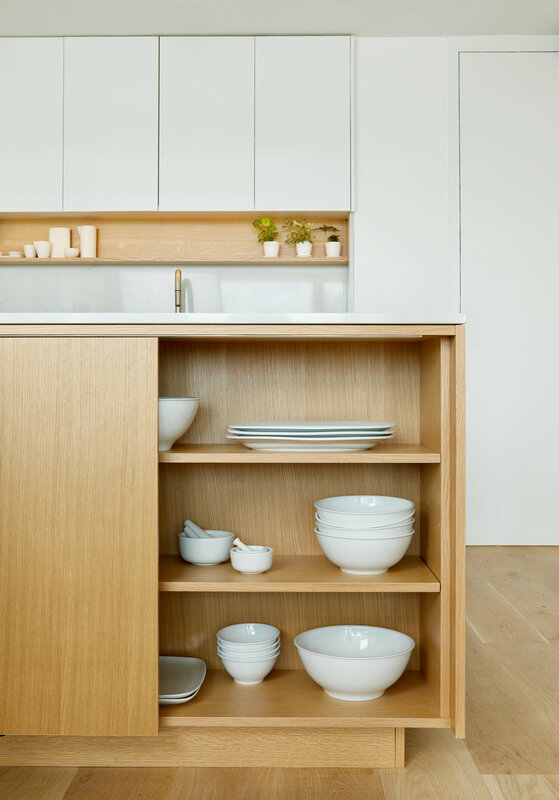 The full height kitchen cabinetry was designed as a continuation of the living room’s white walls, while the island was detailed as a wood console table as part of a matching set of dining table, light fixture and custom shelving. Large-format sliding doors were designed to suggest either wood panels, solid walls or privacy screens depending on their position. At five feet wide by eight feet tall, they are the same size as the apartment’s floor to ceiling windows, maintaining the rhythm and proportion of the façade, while also providing a wood counterpoint to glass and metal. Samantha Weiss Hills. 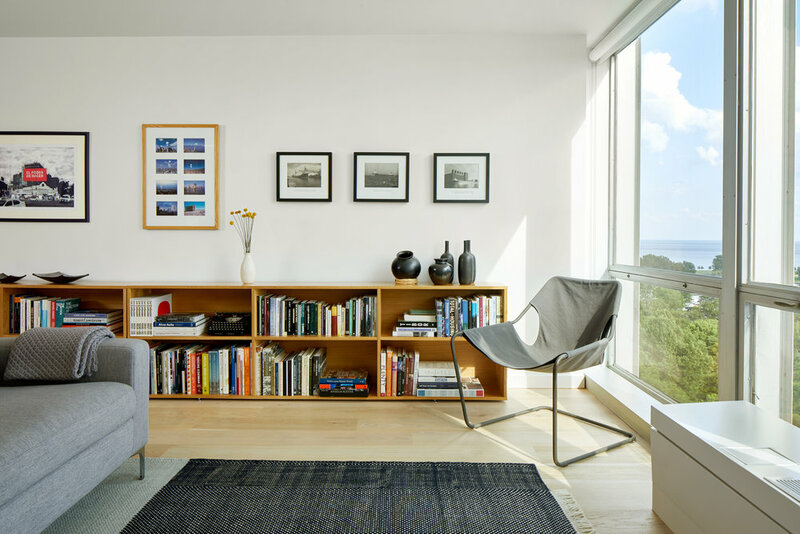 "Inside an architect’s light-filled family home in a pedigreed Chicago tower." Curbed.com. September 24, 2018.